The hard line of the Czech government towards Brexit is in line with the prevailing European belief that Brexit will be a self-inflicted disaster for the United Kingdom. While the Czechs as members of a ten million nation know very well their international influence would be greatly diminished if the EU ceased to exist, their dissatisfaction of what they increasingly see as a position of second rate citizens within the EU could in future become a deeply destabilizing factor. Paradoxically, it was the pro-European Social Democratic Prime Minister, Bohuslav Sobotka, who seems to have unwittingly drawn the attention of the Czechs to the fact that almost thirty years after the fall of communism, their salaries and wages still remain extremely low. Sobotka has inadvertently created a strong wave of public dissatisfaction with what the Czechs see as their poverty within the EU. Many of them blame the European Union for this. Sobotka’s Czech Social Democrats are currently part of a ruling coalition with the right-of-center “Ano” “(“Yes”) party, which is run by a Berlusconi-like oligarch Andrej Babiš, Czech Deputy PM and Finance Secretary, who owns substantial holdings in the Czech food industry and also controls some important Czech media outlets. Remarkably, Babiš’s party is now supported by more than 30 percent of the Czech voters, while the Social Democrats are supported only by 20 percent.3 It is quite likely that the Social Democrats will be the losers in the forthcoming general election, which is due to take place in October 2017. In an attempt to improve the electoral chances of the Social Democrats, the Czech PM Sobotka has decided to propose re-introducing progressive taxation in the Czech Republic. As in several other East European countries,4 progressive taxation was replaced by flat tax5 in the Czech Republic in 2008. Sobotka has pointed out that only 9 percent of Czech employees earn more than 50,000 crowns (USD 1965) per month before tax. He has proposed to raise the income tax for those 9 percent and to lower the income tax for the remaining 91 percent. His proposal has immediately become the target of sharp criticism in the media. Cynics might say that this is because most of the media pundits belong to the “rich” 9 percent of the Czech employees and would thus be adversely affected by the income tax rise. The problem, however, is that due to fairly high levels of other deductions, the gross income of 50,000 crowns per month is actually only 36,000 crowns (USD 1415) per month net, as was pointed out by Petr Honzejk,6 a commentator on the Prague economic newspaper Hospodářské noviny. Which is not a particularly astronomical pay. It became the subject of public attention that most of the so-called “rich” people in the Czech Republic earn only around 1,400 US dollars per month net. While some local goods and services are cheaper than their equivalents in the West, most industrial products are of the same price as in the West. But this is not what was promised to the Czech population in the heady, optimistic period in the early 1990s, immediately after the fall of communism. The Czechs were told that they would quickly enter the land of milk and honey and would become just as affluent as the neighboring (West) Germans, with whom they constantly compare themselves. The public debate on the topic of the general poverty of the Czechs, which followed in the Czech media and on the social networks after Sobotka’s announcement made the Czechs realize that, as they see it, they are second class citizens in the European Union and will always remain so. What are the reasons for this state of affairs? Many people complain that the Czech Republic is a “paradise” for the multinational companies who pay almost no taxes in the country and repatriate USD $14-17 billion of profits from the Czech Republic annually.15 “Half of that amount would solve most of the social problems in the Czech Republic.” Repatriation of profits abroad is possible, critics say, because successive Czech governments have been in cahoots with influential entrepreneurs and multinational companies at the expense of ordinary employees. 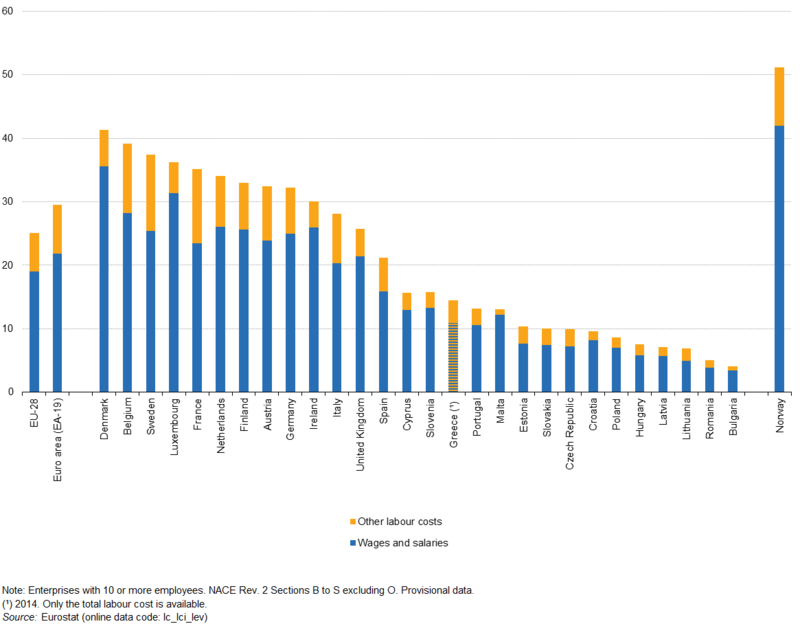 Others point to the fact that trade unions are extremely weak in the Czech Republic and that the Czechs almost never strike demanding an increase in pay. Yet others argue that since the fall of communism in 1989, successive Czech governments never tried to push through an economic policy based on industrial innovation and have turned the country into a giant assembly hall of products made abroad, mostly in Germany.16 The resulting low levels of pay are a source of wholesale frustration in the country and a potentially major destabilizing factor. There is a serious danger that with advancing automation and the growing impact of artificial intelligence on employment and on industrial processes, income levels in the Czech Republic will drop even further.17 At the moment, the country has no strategy on how to tackle this threatening problem. Jan Čulík is a journalist and academic who holds the position of Senior Lecturer in Czech Studies at the University of Glasgow, Scotland. He is the author of several publications in this field, including the first detailed study of Czech emigré literature, Books behind the Fence: Czech Literature in Émigré Publishing Houses 1971-1989, and a study of the value system of Czech feature film made in the post-communist era (A Society in Distress: The Image of the Czech Republic in Contemporary Czech Feature Film. Sussex Academic Press, London and Brighton, 2012). His most recent publication, in cooperation with six other international scholars, is a monograph entitled National Mythologies in Central European TV Series How J.R. won the Cold War, Sussex Academic Press, 2013. Published on April 19, 2017.